Vornado Realty Trust’s CEO Steve Roth is in his mid-seventies and hasn’t publicly named a successor, so news of his August heart incident made some analysts anxious. He did his best to dispel those concerns Tuesday. “I am now better than new and have been back to work for a while,” he said during the company’s third-quarter earnings call. 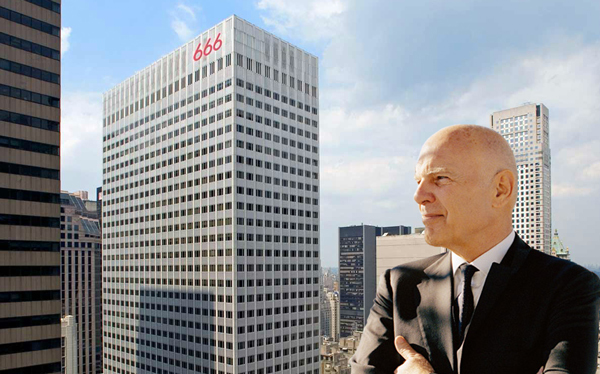 Asked about Kushner Companies’ plans to redevelop 666 Fifth Avenue, which it owns with Vornado, into a multi-billion-dollar condo and retail tower, Roth said “it’s likely those are not feasible” and that the tower will remain an office building. “It’s overleveraged, which is an issue,” Roth said, but claimed that the company isn’t too concerned because it paid little money for its stake in the office portion. “We look upon it as if it’s a mezz loan warrant,” he said. Bloomberg reported two weeks ago that Roth has been telling brokers not to expect a condo development. Roth also said that the company plans to sell more than $1 billion in assets over the coming years, including shares in other real estate investment trusts (such as Urban Edge Properties), properties in Washington, D.C. that it still holds, a shopping mall and expiring loans.